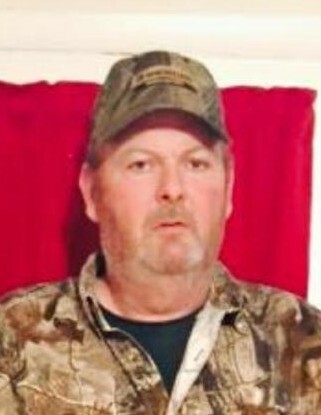 Oliver Todd Fryman, 54 of Mt. Olivet formerly of Fleming County, passed away Tuesday morning, March 20, 2018 at the University of Kentucky Chandler Medical Center in Lexington after a brief illness. He was born in Carlisle, Kentucky on January 6, 1964 a son of Faye Evans Fryman and the Late Oliver Clinton "Buddy" Fryman. Todd was a former farmer and construction worker. He enjoyed the outdoors, hunting, trap shooting, Nascar and spending time with his family, especially his grandchildren. Survivors include two children, Drew Fryman and his wife Wendy of Temple, Texas and Michelle Muse of Flemingsburg, Kentucky. His mother, Faye Evans Fryman of Mt. Olivet, Kentucky, one brother, Terry Fryman and his wife Kristen of Mt. Olivet, two grandchildren; Hunter Fryman and Colton Fryman, two nieces; Kristain Fryman and Madison Fryman. Also, several other relatives and friends. Funeral services will be conducted 2:00 P.M. Saturday in the chapel of the Price Brothers Funeral Home in Elizaville with Bro. Jerry Boling officiating. Visitation at the Price Brothers Funeral Home is after 11:00 A.M. Saturday. Pall Bearers will be Timmy Fryman, Mike Fryman, Jeff Fryman, Mark Fryman, Wendell Fryman and Ricky Fryman. Honorary Bearers will be Vincent Price, Jon Stacy and Larry Smalley. The Price Brothers Funeral Home in Elizaville is caring for all arrangements for Oliver Todd Fryman.